Another Tuesday, another 5-minute deleted scene to enjoy. 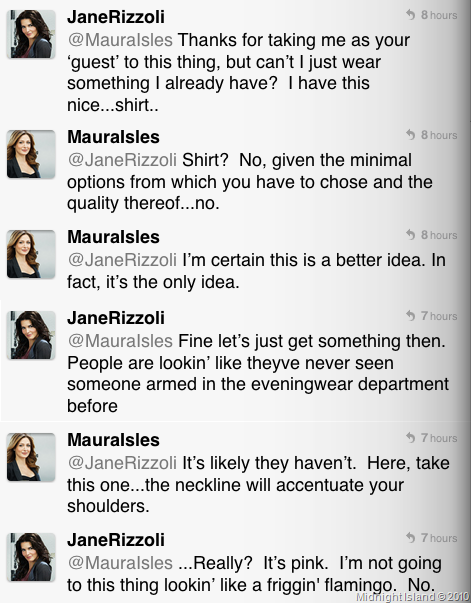 A few people have asked, so I will clarify: As far as I know, the Rizzoli & Isles character twitter accounts are run by TNT. I don’t know who at TNT. Maybe the show’s writers. 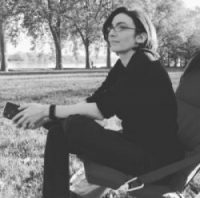 It is not a fan-run thing and it’s not written by the actresses themselves. Now that we’re all on the same page, on we go! 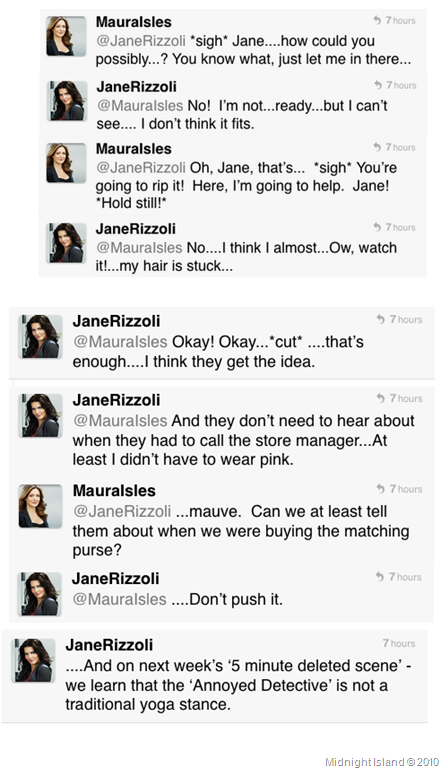 Last night @JaneRizzoli and @MauraIsles went dress shopping. I like to call this scene: Two Girls, One Dressing Room.